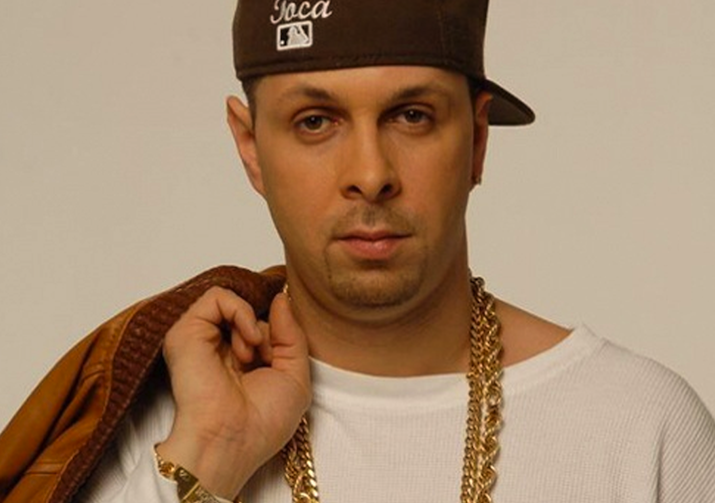 Tony Touch is an American hip hop break dancer, Singer-songwriter, Producer and DJ of Puerto Rican descent. Tony Touch began as a B-boy during the rap music renaissance era of the early 1980s. Heavily influenced by pioneers like Crazy Legs and the Rock Steady Crew, Grandmaster Flash, Red Alert, Little Louie Vega and Jam Master Jay, he quickly shifted his interests towards the turntables. Tony is known for his mixtapes the 50 Mcs parts 1, 2 and 3. The mixtape’s have featured guest appearances from Eminem, KRS-One, Kool G Rap, Big Daddy Kane, Wyclef, M.O.P, Big L, Mos Def and many more. In 2000, Tony released his debut album The Piece Maker on Tommy Boy Records. This album sold 400,000 units worldwide and featured guest appearances from Big Pun, Cypress Hill, Wu-Tang Clan, Busta Rhymes, Eminem. Gang Starr and much more. In 2000 the single “I Wonder Why” featuring Total was released and the music video featured cameos from John Leguizamo, Rock Steady Crew, Grand Master Flash,The Awesome 2, Marley Marl, DJ Premier and more. Since then Tony Touch has released The Piece Maker 2 which featured guest appearances from P. Diddy, Fat Joe, Sean Paul, Snoop Dogg and legendary Ruben Blades. Tony Touch is also known to represent the urban Latino community with his Spanglish lyrics and Salsa roots. It was the result of him growing up with Salsa at home and Hip- Hop influence in his lifestyle. In 2005 Tony signed to EMI records releasing a Reggaeton album, ReggaeTony. The lead single “Play That Song” featured Nina Sky and B-Real of Cypress Hill. The CD included collaborations with artists such as Tego Calderon, Zion and Lenox, Pitbull, Ivy Queen, NORE, Voltio, Mexicano, Thirston Howl III and Soni. The album went gold and with that success, EMI moved quickly to release ReggaeTony 2. This CD featured Lumidee, Plan B, Joell Ortiz, Tru Life, Don Chezina, the Beatnuts and others. To this date Tony has sold over a million records worldwide. On July 16, 2013, his sixth album The Piece Maker 3: Return of the 50 MC’s was released and featured guest appearances from Busta Rhymes, Reek da Villain, Roc Marciano, Lil Fame, Too Short, Xzibit, Kurupt, B-Real, Papoose, Uncle Murda, Black Thought, Styles P, Sheek Louch, Jadakiss, Raekwon, Ghostface Killah, RZA, Eminem, Twista, Bun B, Action Bronson, Prodigy, Joell Ortiz, Royce da 5’9″, Krs-One, Crooked I, Redman, Method Man, N.O.R.E. and Erick Sermon among others. In 2016 he paired up with Austin Brown to collaborate as CaliYork. They released “Show Up At My Place” in September.